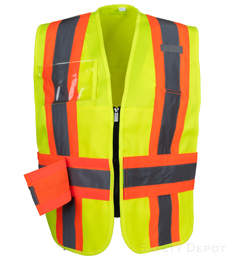 During emergencies and crisis, it is vital that respondents and key personnel are easily identifiable by wearing incident command vests. 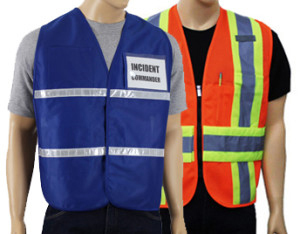 The ICS (Incident Command System) is a national, standardized on-scene incident management model. 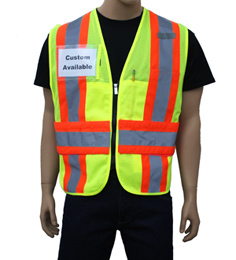 It’s designed as a guideline for respondents to implement an organizational structure at the scene of an incident. 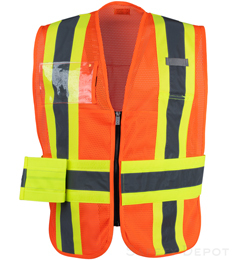 Safety Depot's selection of incident command vests come in a variety of colors, allowing you to designate distinct colors for certain jobs. 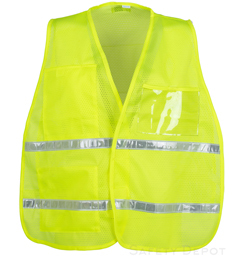 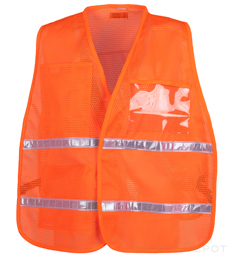 Some vests are also ANSI Class 2 compliant. 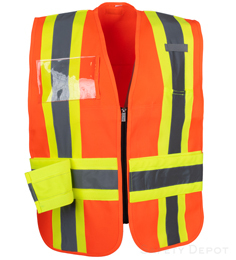 Additionally, Safety Depot provides CUSTOM LOGO PRINTING on all colored safety vests.